Donnie McClurkin, Shirley Caeser and others are being expected at the Akwa Ibom Christmas Carols festival taking place on Saturday, 19th of December 2015. Lara George, Chinelo De limono, I. T. Denis, David Eka. He also stated that more than 15,000 spectators are expected to attend the one day event. Bishop Mike Okonkwo of the Redeemed Evangelical Mission is to deliver exhortation at the all night event. This year's programme is being supported by the State government and some corporate sponsors like the Globacom, United Bank for Africa (UBA), Le meridian Ibom Hotel and Golf Resort and Hensek. Mr Tom Mkpanang noted that the Akwa Ibom Christmas Carol Festival had become a record-breaking event and a rallying point for Nigerians from all parts of the world during the Yuletide season. The event, which debuted in 2008, has since grown in magnitude and repute to become a glittering carnival of songs, dance, worship and fun recognised worldwide and cited in the Guinness Book of Records. In the year 2012 edition, Akwa Ibom Christmas Carol made history when it featured a 9,999-member choir which was reputed to be the largest choir on the continent at that time. 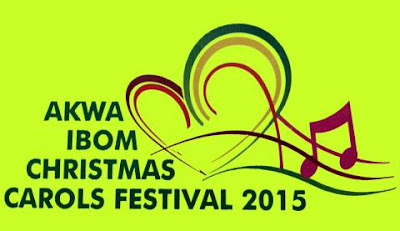 Last year, the Christmas songs and fun event beat its own record when on December 13, 2014 at the Uyo Township Stadium, it featured the 25,272-person Godswill Akpabio Unity Choir which became the largest number of carol singers on earth. This record, set on Nigerian soil, beats the previous record set by a choir of 15,674 carol singers known as CENTI in Bogota, Columbia, back in December 2013.